ibis Ambassador Seoul in Insadong has good transport connectivity be it rail, air or the subway. The hotel has 363 rooms, a restaurant, and a bar - a true sample of world-class hospitality. Our restaurant, TASTE, offers buffet lunch, and there's a bar to hang out till late. For the workaholic in you - we have the meeting and conference rooms as well as a business centre to cater to different needs. 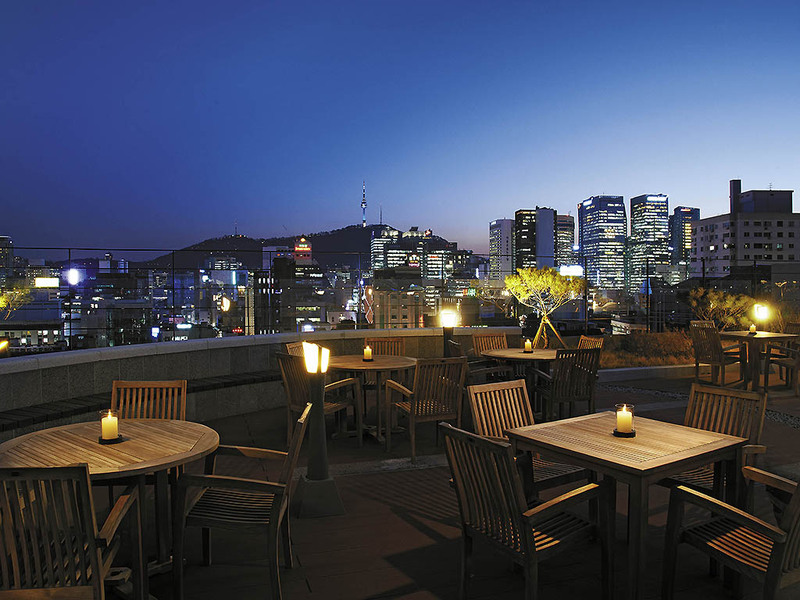 The open view rooftop gives a panoramic view of Seoul city, including the sight of city's iconic N-Tower. Located in the heart of Seoul at Insadong, one of the most memorable attractions in Seoul and the focal point of Korean traditional culture. We offer easy access to shopping and entertainment districts, the KTX and local train stations. The Standard Twin Room features two single beds, a flat screen LCD TV, heating and air-conditioning systems, in-room safe, work desk and free wireless and broadband Internet access. The Standard Double Room features one double bed, a flat screen LCD TV, heating and air-conditioning systems, in-room safe, work desk and free wireless and broadband Internet access. A good Choice to feel great. Enjoy a buffet and Special dishes in a relaxed, simple TASTE Restaurant. Kahvaltıda daha çok peynir, zeytin çeşidi olabilirdi. Oda biraz daha büyük olmalıydı, dolaplar azdı. Helal sertifikalı ürünler olmalı kahvaltı ve yemekte. İyiydi ama eksikler vardı. Bazı günler havlular iki tane bırakılmadı. Sebep olarak ise havlu olmadığıydı. Bu kabul edilemez. Lokasyon iyi servis de var. Oda güzeldi.